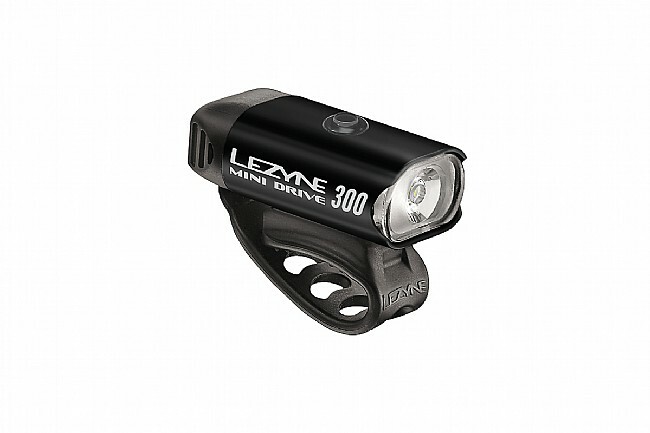 The Mini Drive 300 Front Light from Lezyne offers up to 300 lumens of light in a compact and resilient, aluminum package. With 8 modes, there's an appropriate option for nearly any bike ride scenario. Mode Memory functions ensures the light turns back on in the mode within which it was powered off. It's equipped with enhanced MOR (Maximum Optical Reflection) lenses and side visibility for a clearer, broader field of visibility, and it's USB-rechargeable for a speedy 2-hour re-charge time. The adaptable mounting strap attaches to both standard and aero bars. Blast: 300 lumens for 1 hour. Enduro: 150 lumens for 2 hours. Economy: 75 lumens for 4 hours. Femto: 15 lumens for 17 hours, 30 minutes. Flash 1: 50 lumens for 11 hours. 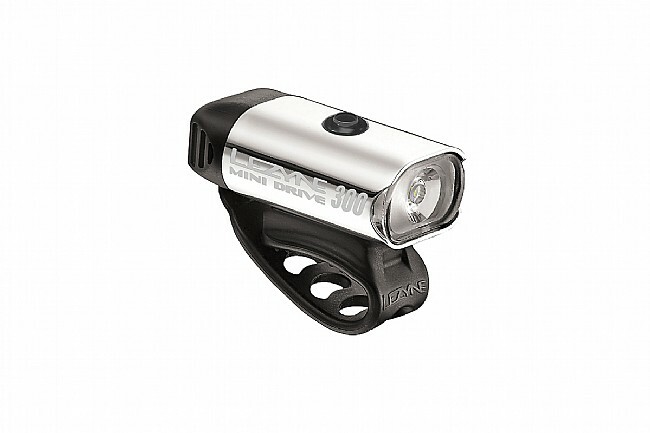 Flash 2: 50 lumens for 10 hours. 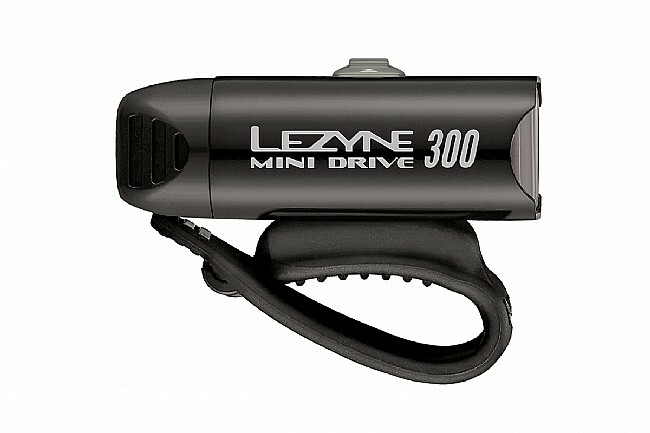 Day Flash: 300 lumens for 7 hours..
Pulse: 50 lumens for 12 hours, 30 minutes. This small light has lots of light functions. Just wish the strap was longer for larger handlebars or aero bars. Its hard to find one that does.